Did you know that promoted pins can boost your organic Pinterest strategy? Yep, it’s true. Today we’re getting into the nitty gritty of how it’s done. Today we’re going to be talking about how to use the data that you find in your promoted pin campaigns to help boost your organic Pinterest strategy. This is a very advanced topic, so if you’re brand new to the podcast and Pinterest, come back to this podcast later. Instead, go listen to our “Start Here” podcast instead. Follow that up with this episode about how to keyword on Pinterest. I have Monica Froese on the podcast today. Monica blogs at Redefining Mom and has been on the podcast before talking about Pinterest analytics. She fell into blogging while feeling overwhelmed after the birth of her daughter. At that time, she was transitioning out of her corporate job and started a “working mom” blog. The blog led to some pretty cool opportunities, like going to the White House and being on the national news. Her love for Pinterest and data led her to her sweet spot, developing an expertise in promoted pins. In the last podcast we did together, we talked about the analytics we have available to us based on our pinning strategy without using promoted pins. After that episode, Monica was thinking about what other ways she could use the data to her advantage. The data we’re given on organic pinning is somewhat limited. Whereas the data that Pinterest provides on promoted pins actually includes the exact search keyword that people click through with. This isn’t available unless a pin is promoted. The first thing you should know about setting up a promoted pin campaign is that you can target gender, location, interests, keywords, or device in your campaigns. There is a person behind every promoted pin click, even if we have no idea how they end up there. 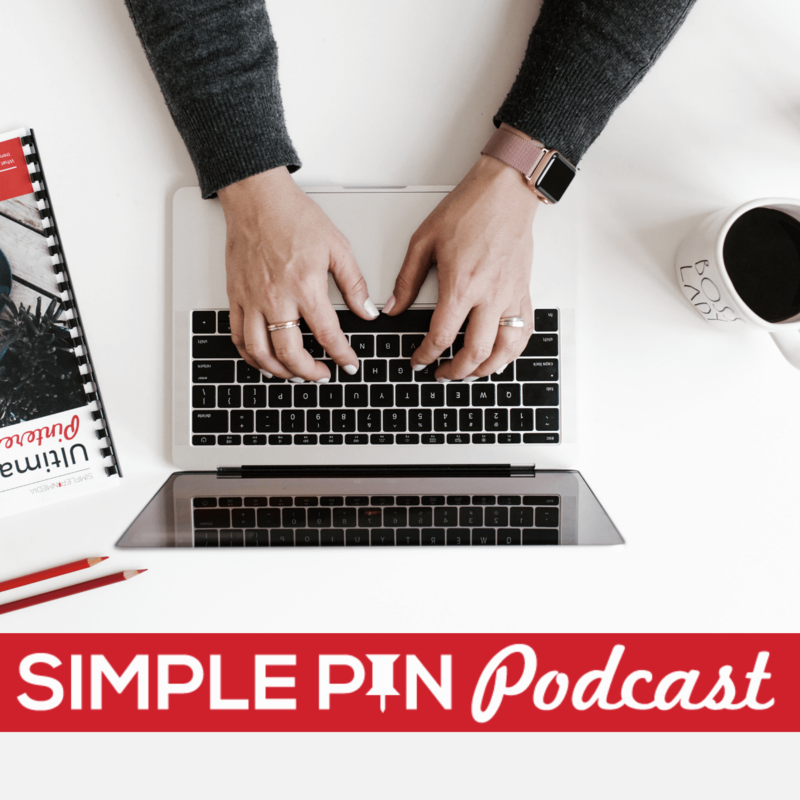 Think about how they found your pin and how you can leverage the way they found your pin to make your Pinterest strategy even better. The algorithm for promoted pins is an auction style. You bid CPC (cost per click) and you have to bid higher than the next person. Pinterest is optimizes based on your bid. Then they’ll determine where to spread the pin based on your interests, keywords, and click-through rate. They will then start to show the pin in the smart feed and in related pins. Exact match (the exact same search as your keyword). At the moment, phrase match is what’s recommended by Pinterest representatives because the algorithm is working through all the new One Tap campaigns. (One Tap is when you click on a promoted pin and it takes you directly to the website instead of simply enlarging the pin). Pinterest is giving us this data so that we can see the search terms that people are using to finding us. Find as many relevant keywords as you can and put them into your campaign as your phrase match. Then when you go to check your data, see how many clicks you received on those keywords and how many of those end in a conversion (a purchase or an email sign-up, etc.). Once you check out all of your data and find out which keywords are performing well, write those down. If you discover a search query that you didn’t think of, create a new pin using that search term to go along with the content you already have. Once you’ve created the pin, go ahead and get it circulating. Next, it’s time to create new content. With search queries, you’ll realize what’s resonating with people. Use this information to generate new content creation ideas. This will also help you create new descriptions and overlays for previously existing pins. Finally, create new boards based on these high-performing keywords. Your board SEO gets tied to your pins, so be sure to pin first to the most relevant board. That helps Pinterest understand what the pin is about. The same thing applies when you’re promoting a pin. Pick a pin from a relevant, keyworded board because it sends more signals to Pinterest for them to understand what the pin is about. Product Ideas. If you set up everything correctly when you run your promoted pin, you can then track email sign-ups and sales conversions. Knowing the search terms that led to these sales is hugely helpful. This will help you with even more product ideas. If you’re going to come up with new product ideas based on these search queries, pay more attention to conversions rather than to clicks. You can do this with building your email list as well. In order to email your list with content that they want to hear about, use the information from keywords and search queries. If you don’t have a product to sell, always go for an email sign-up. Opt-In Pages. As you think about all of these things, you also need to make sure you’re paying attention to your site speed. You can use opt-in landing pages, which are just a strategic call to action. This is yet another way to use your keywords to pull people in and get that coveted conversion. 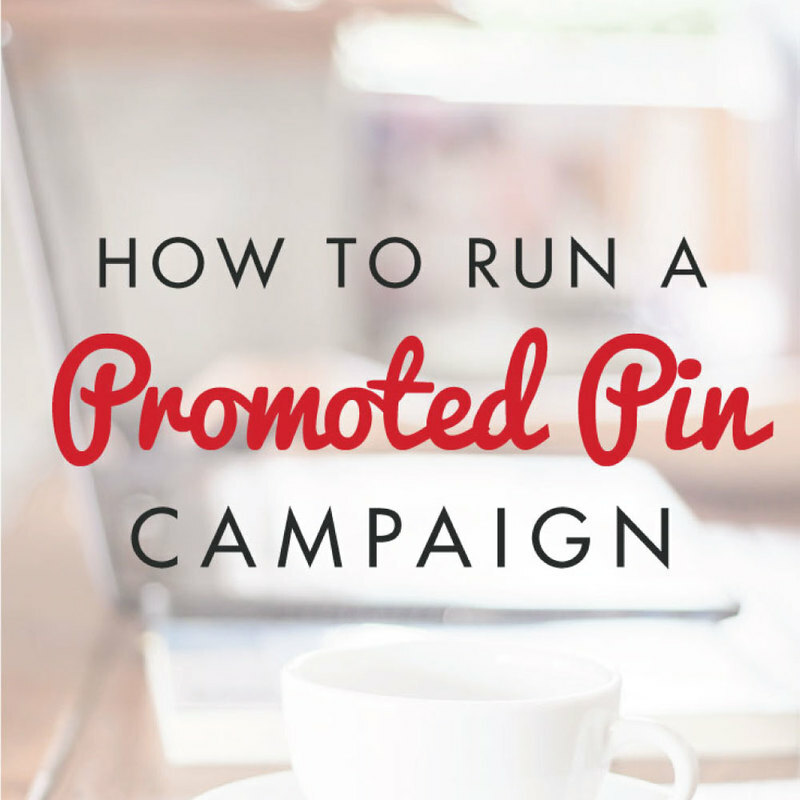 Running a promoted pin campaign does not have to be expensive. But there are a lot of details that go into putting a campaign together. For those of you who don’t really know where to go next, Monica has a course called “Pin Practical Promotions” that you should take a look at. It’s centered around promoted pins (not just how to set them up, but how to analyze the data). Pinterest guides you through setting up promoted pins but you can get there and then be lost with all the information. Monica teaches you how to optimize for a low cost per click. No one wants to be paying $1 for a click to your website! Make sure you listen to the podcast as there is tons of information there. You might need to listen more than once! Holy Cow. This is like a master class. Wow. I’m not sure I understand all of it, because I’m still confused about how to run promoted campaigns. The course from your guest sounds like what I really need. As always, thanks for incredible information. LOL. I’ve listened to this podcast 3 times. So great…and now I’m going through the show notes (because of the pictures) to implement this in my stuff! You bet! We’re trying to get better at screenshots.